June | 2008 | KBK Bakery's Adventures in Baking! OK! Home from Texas and back on my trusty PC instead of a cranky laptop! So, better late than never, our Danish Breads! Pools of juice everywhere. So sad. But damn it was good. Didn’t last 24 hours. Total yum! 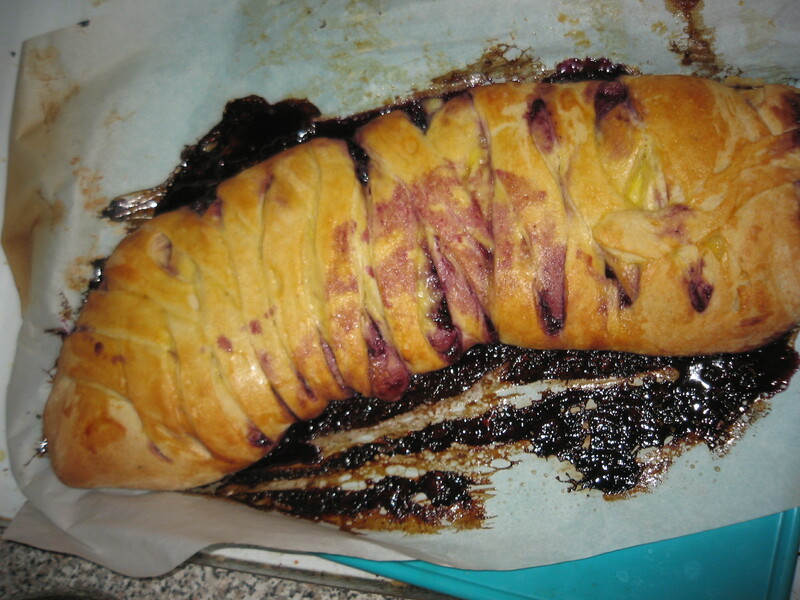 Beth also made a berry cream bread, but learned from my mistakes. Not only did she roll hers on parchment paper, we also decided to go with a smaller roll. 10×16. Makes a much more manageable size. No carnage involved with hers! Only a little berry ooze. But boy, that crunchy sugary ooze is damn good too. Our 3rd and 4th loaves went off with out a hitch. Both are nut loaves. I went with a mixture of almonds, pecans and hazelnuts with some cinnamon and sugar, while Beth chose to use only pecans with some cinnamon and brown sugar. The loaves were picture perfect. I’m not sure which one is which in the pictures, but they were both quite tasty. The only thing I think I might do differently next time is to add a little butter and make it a streusel-y filling to hold the nuts together a bit. it was a bit loose so nuts tried to make a break for it. Also, I think this particular loaf would have benefited from some icing. The berry one was far to rich, but it would have added a hint of sweetness to the nut ones. 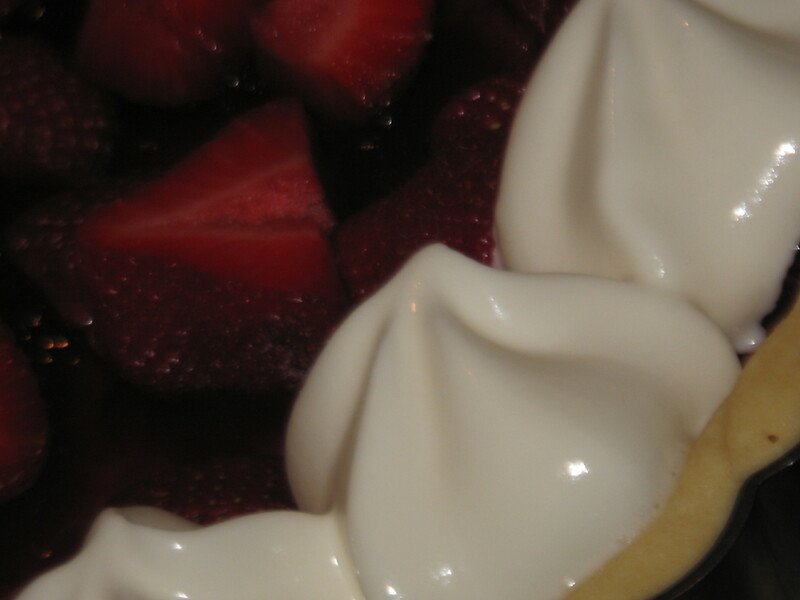 This video is also where I got my berry and confectionery cream filling recipes. Well, that’s our bread! Here’s the original recipe! Try it for yourself! 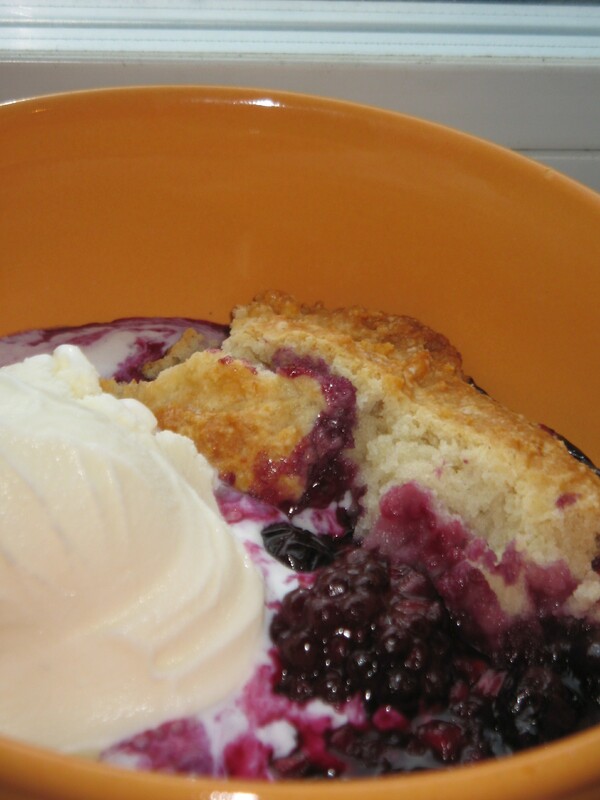 This week are being led by Beth of Our Sweet Life and she has chosen Mixed Berry Cobbler on pages 416-417. Now I *love* a mixed berry… well anything really. I’ve made pies, filled bread, jams. But, oddly, never a cobbler. 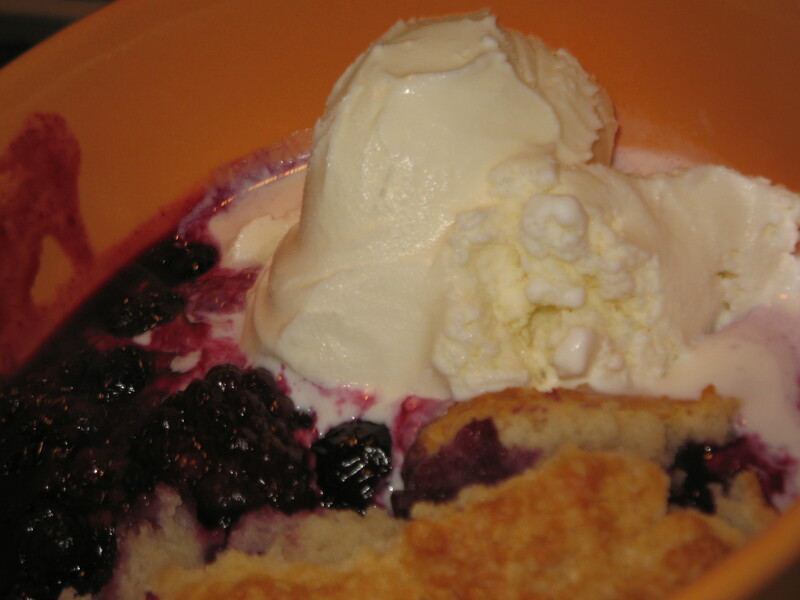 I don’t think I’ve ever even eaten a cobbler. My family is pie people. And mostly of the pudding-ish variety. So I was very excited to try this week’s recipe! 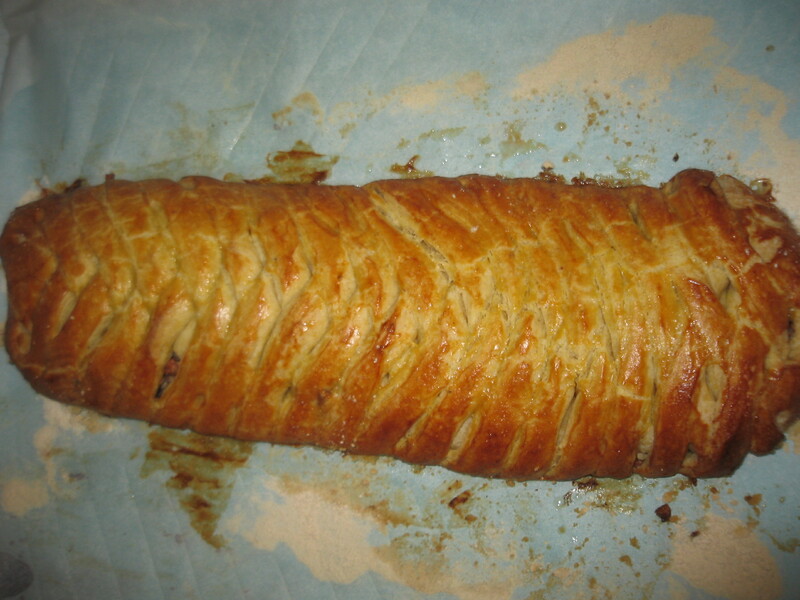 First I made my dough, and boy, was it sticky! Stuck to the bowl. Stuck to the scraper. Stuck to the waxed paper. Sticky, sticky. 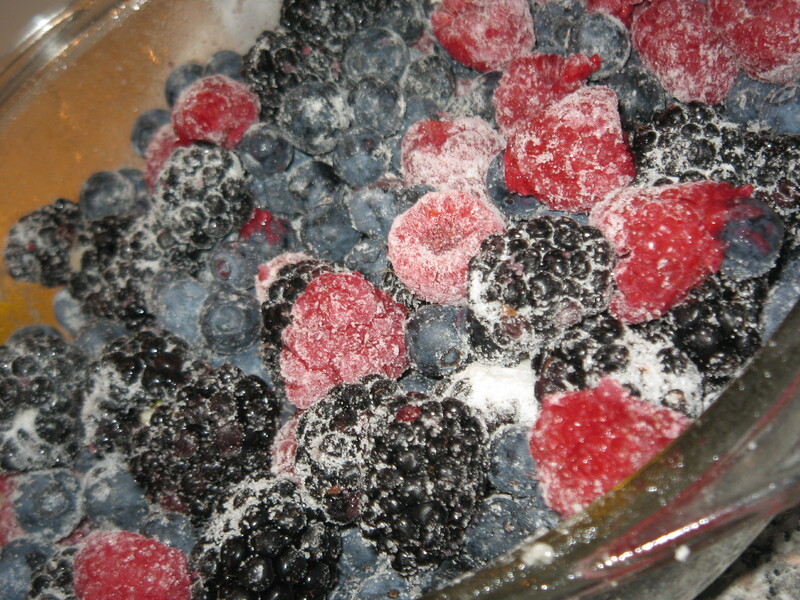 Next, I mixed together my berries. 2 pints of blueberries and one each of raspberries and blackberries. They looked so pretty all covered in sugar, I hated to cover them up. 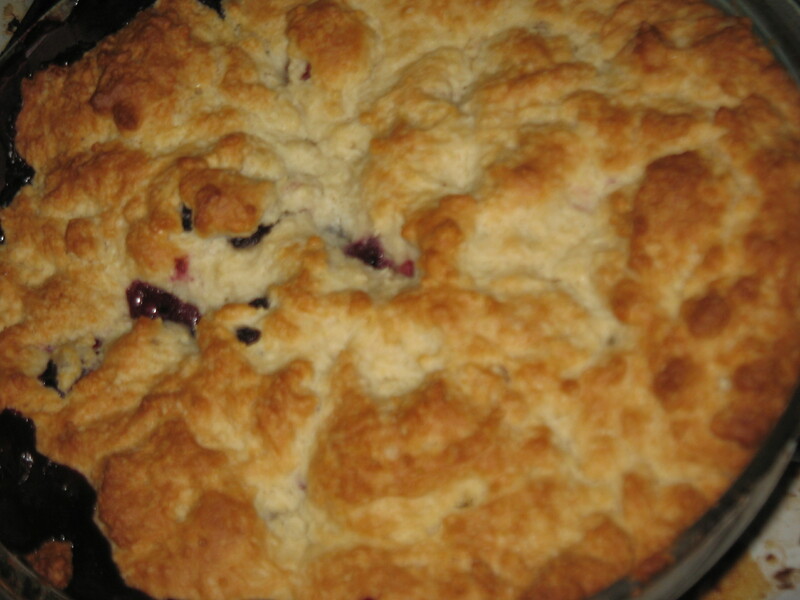 But, of course, it wouldn’t be a cobbler with out a crust! (I guess it would just be… jam?) So, cover it, I did. Boy! You want rustic, there you go! 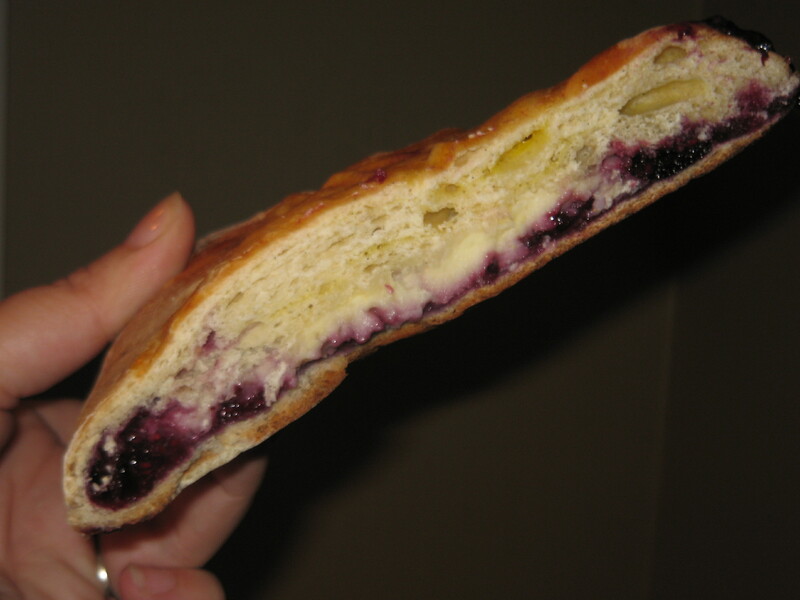 Seems the only thing this dough won’t stick to is sugar coated berries! I think i recovered the same blackberry 6 times. My little darling is percolating in the oven right now! I’ll post pics of the finished product as soon as it comes out! Well, the cobbler is out and is a lovely golden brown. And looks just so… comforting. Mmm… makes me want to lick the screen! At any rate, I knew a Peppermint Ring was out, but, luckily, the mint was only in the filling and Dorie gave some alternatives. Being a citrus lover I knew I would go with a Lemon Cream filling. 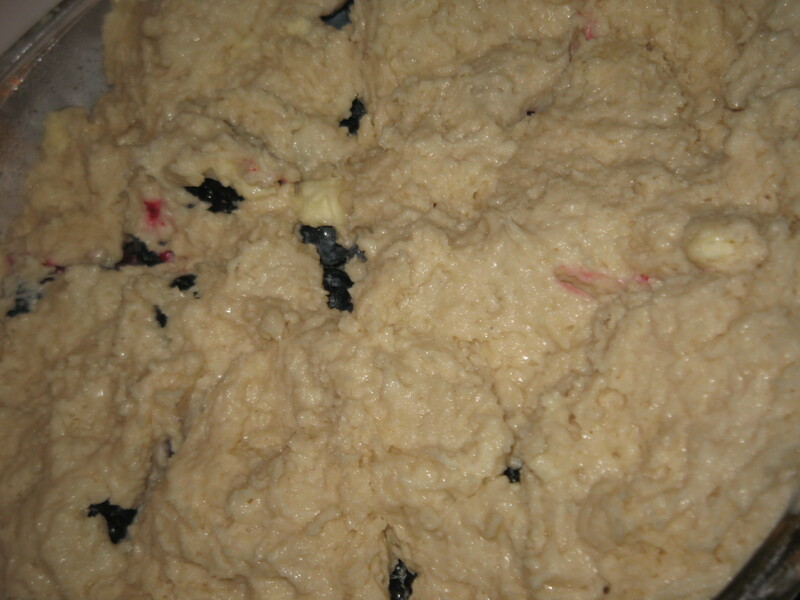 Now this filling could only come after three (in my opinion) failures at the dough. Now, it came together fine. I boiled it until it was a ball. I mixed my eggs in one by one. I squeezed it into a ring and (on the first attempt) into eclairs and rolls. I baked them for a total of 45 minutes. 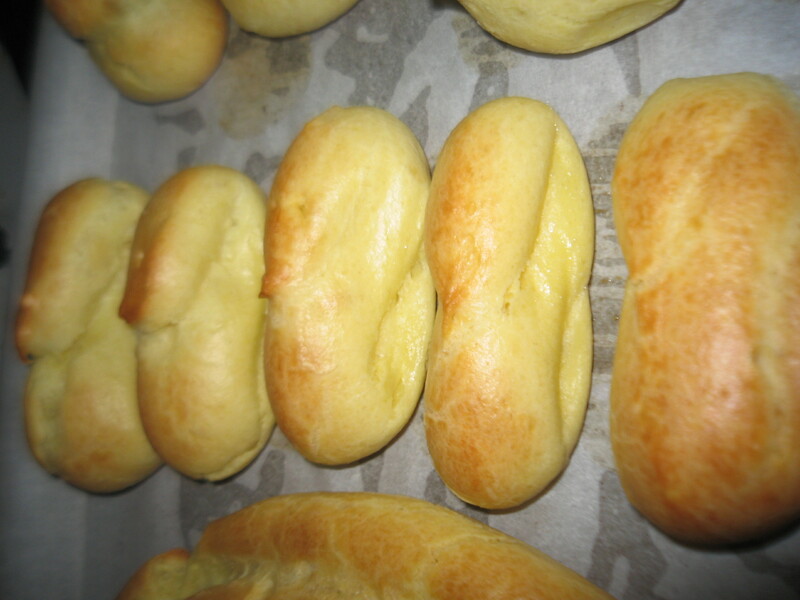 Each time they came out browned and firm and puffed up. 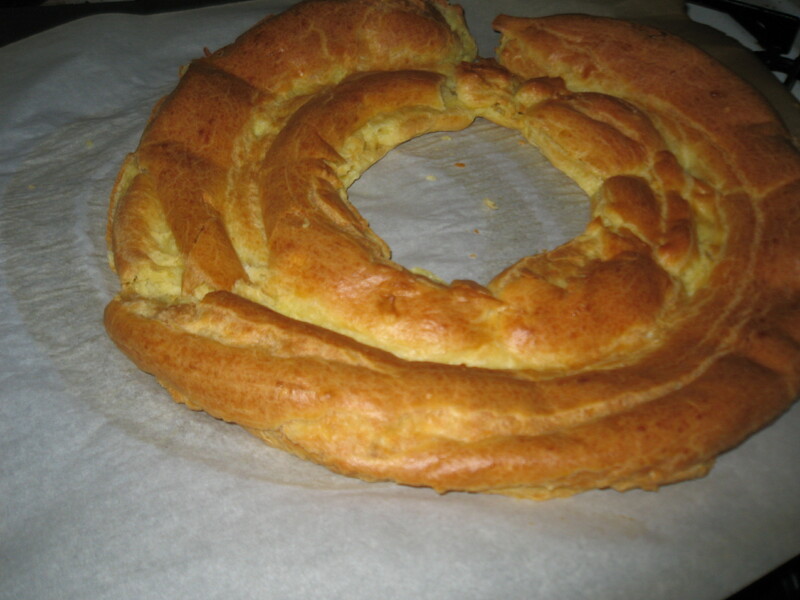 And everytime… after leaving them in the kitchen to cool… I came back to a deflated ring. It looked a bit like a large donut that someone sat on. So, I tried a second time. Same result. I looked up Alton Brown’s recipe on footnetwork.com. He had a suggestion of puncturing the choux after it came out of the oven to let the steam escape and stop the dough from going soggy. Voila! A Pate A Choux Pancake! That’s right, flat again. I don’t know what the issue is but I’m thoroughly frustrated. I never got to the lemon cream. 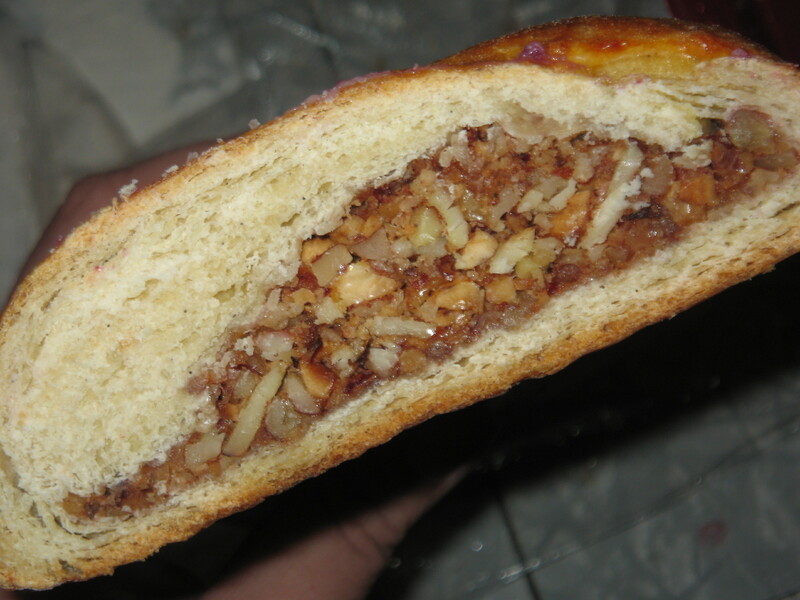 What’s the point of making it, if your pastry won’t be able to hold the weight? I’ll give it a day or two, and maybe I’ll have another go. 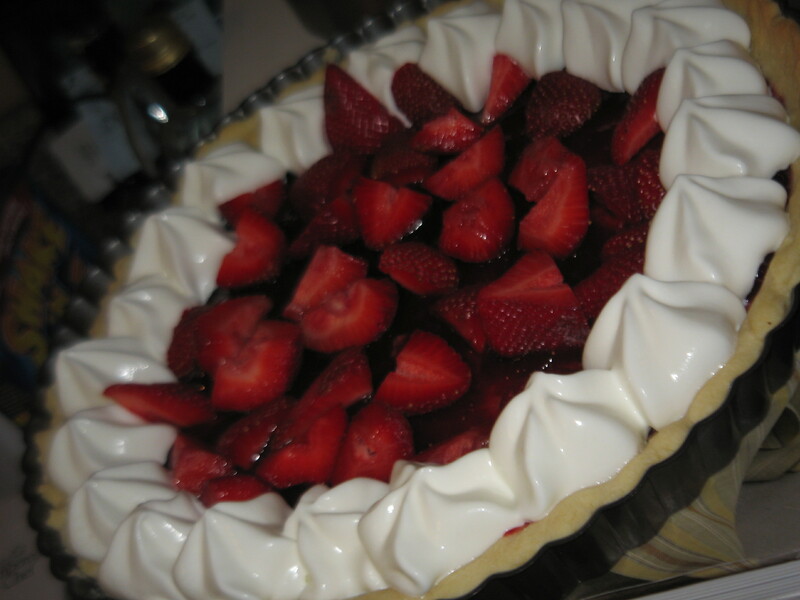 La Palette’s Strawberry Tart on page 374 was this week’s challenge. And it was, simply, divine. I think by it’s pure simplicity, it became extraordinary. 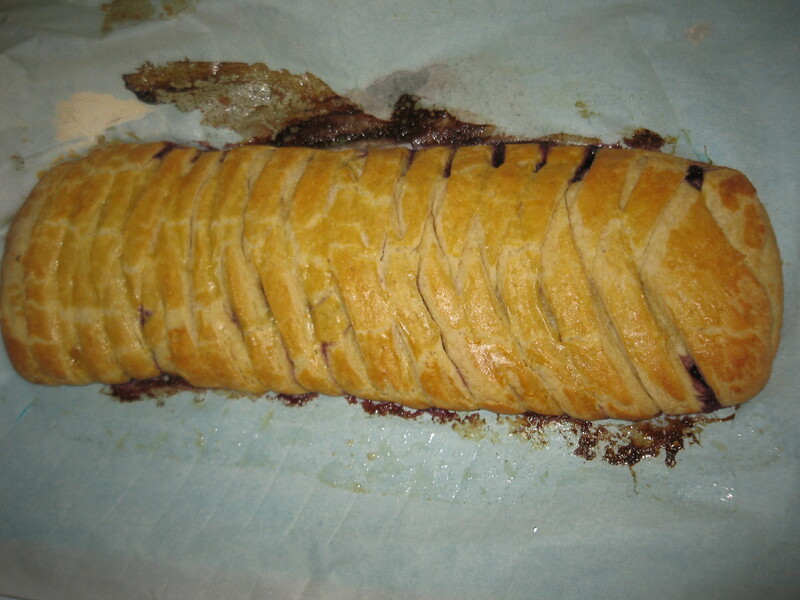 It starts with a sweet tart dough, then a layer of jam (I used raspberry) and then some cut up strawberries. That’s it! Simple, fast, delicious. I served mine with a little Ready Whip and everyone was in heaven! 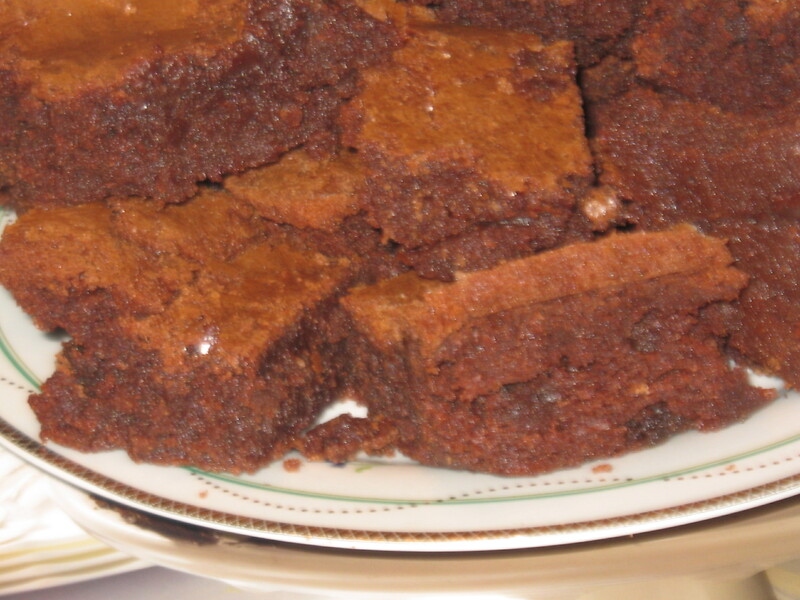 I have to say, I was not thrilled with these brownies. For starters, I don’t like raisins. I know, I know, I could have left them out, but, originally, I was planning to send these into work with the hubby. I even left out the cinnamon (that I love) because his boss is allergic. But I didn’t get them made until Friday, and after I tried one, I didn’t want to send them in. The actual brownie wasn’t *terrible* but the raisins were disgusting and the overall texture was a little mealy. I think I may not have cooked them long enough. Try them for yourself and see what you think! 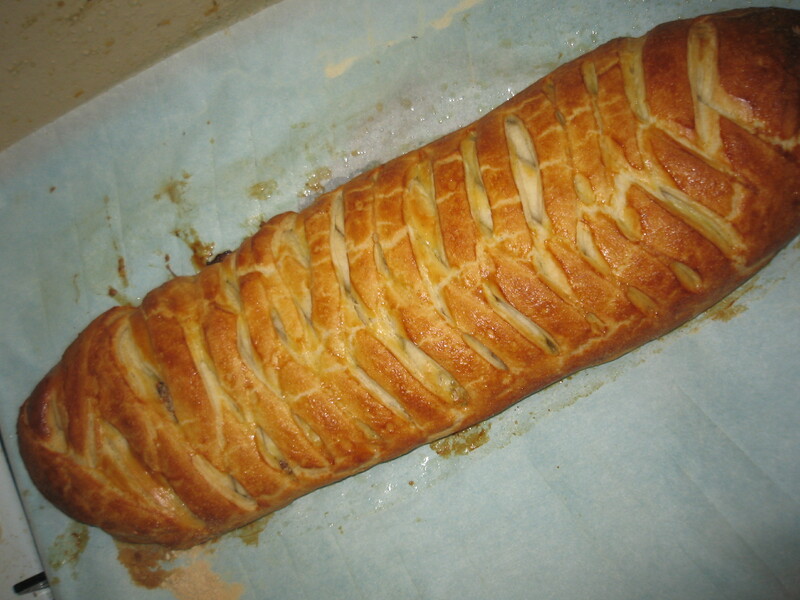 You can find the recipe at Di’s Kitchen Notebook, who had the honor of picking this recipe! Ok! Minor computer snafu put us out of commission for a bit, but we’re back and posting will get caught up over the weekend! You are currently browsing the KBK Bakery's Adventures in Baking! blog archives for June, 2008.